At the Texas Poker Store it's not always just about poker; sometimes it's also about football. This year TPS is running an email contest to predict the two teams who will play in the Super Bowl, as well as the winner of Super Bowl XLVII. There are eight teams left after the wild-card games, so the two teams that might end up playing in the Super Bowl are still unknown. That's what makes it fun to make an early prediction. 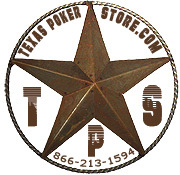 The Texas Poker Store is awarding a $200 gift prize applicable towards any TPS products (in stock) to the first person who correctly picks the winner, as well as their opponent, in Super Bowl XLVII to be played in New Orleans on Feb. 3, 2013. "Our customers, especially the ones who follow The Texas Poker Store blog, know that we are huge Texas A&M football fans," says Jim Paris, owner and Chief Dealer. "During the past season we ran Predict the Score contests whenever the Aggies played one of their SEC conference rivals and the contests were a big success. In fact, we gave away a 300 poker chips set to our last happy winner. "But we also enjoy professional football, so we thought we should find a way to bring our poker-playing fans into some Super Bowl action as well. There are eight teams left after the wild-card games, so the two teams that might end up playing in the Super Bowl are still unknown. That's what makes it fun to make an early prediction," says Paris. "If you're not sure, you can wait until after the divisional games and make your prediction before the AFC and NFC championship games on January 20, 2013," Paris adds. "The odds are far more favorable, but of course, the reward is less, with the prize going down to $100 worth of retail merchandise from the Texas Poker. "It's kind of like poker. You have to decide when to place your bet," says Paris. Located in College Station - Bryan, Texas, the Texas Poker Store is a fully-stocked online poker store that offers 100 percent secured shopping and features hundreds of poker supplies. 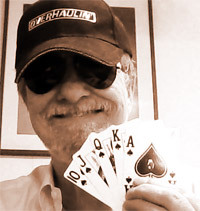 The Texas Poker Store was founded by Poker Lovers and Die Hard Players, Jim and Lynn Paris. We live in Texas, we play Texas Hold 'em and we welcome you to visit our store. You can find the Texas Poker Store at http://www.texaspokerstore.com, visit their blog at http://www.texaspokerstoreblog.com, and follow them on Twitter, FaceBook and on Pinterest.